As we walk, I roll the sleeves of my gown to my elbows, the soft linen creasing easily in the crook of my arm. Then I unlace the cording at the neckline of my dress–one firm tug and my shoulders are bared! "No more scandalous than this mischief we are about," I remind her. "God's truth, it is so hot that I am a mere moment from removing my garters and hose! These clothes are more constricting than the rules we ladies must abide!" 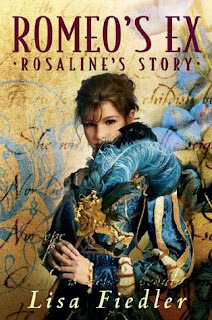 Romeo's Ex: Rosaline's Story is a book I discovered while making my reading list for my Books & Related Materials for Young Adults class. It was one of the books listed under the Historical Fiction column that we could pick from for our list. I'm excited to read it, because if you checked out my Top Ten Tuesday for this week, you'd know that I LOVE re-tellings/re-mixes of stories. The fact that Lisa has re-told the tale of Romeo & Juliet from Rosaline's perspective makes me really excited to finish the book! O what an interesting teaser, made me smile :) Thanks for sharing. 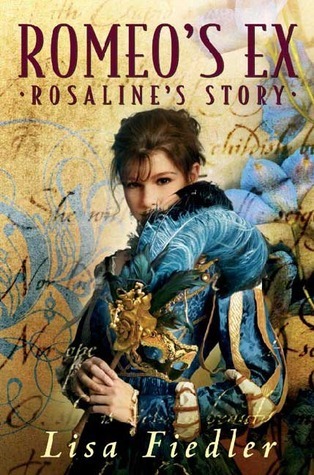 Never knew that there was a story from Rosaline's perspective. Sounds interesting and it has a very nice cover. I agree with her--much of ladies clothes are uncomfortable. Funny teaser! Love the sound of this, thanks for sharing!